December 18, 2008 -- Pick a gift with a connection to SF State alumni or faculty and you're sure to please all gators and friends of gators that you know. Dan "the Automator" Nakamura's (B.A., '91) latest album "Naturally" -- a creation of his band Men Without Pants -- is sure to get any hard rock fan excited. Nakamura, although most famous as a hip-hop producer, produced the album with the help of some of rock's biggest names such as Sean Lennon, Pelle Almqvist, lead singer of the Hives, and several members of the Yeah Yeah Yeahs. 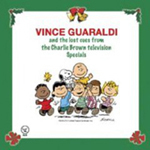 If you're looking for music that is a bit calmer, consider a compilation from Vince Guaraldi such as "Lost Cues from the Charlie Brown Television Specials: Volume 2." Guaraldi, the late composer behind "A Charlie Brown Christmas," perfected his soothing smooth-jazz sound at clubs in San Francisco during his music studies at SF State. His album is the perfect choice for relaxing around the fireplace on a cold winter night. There's nothing more satisfying than curling up to read a new book. Maxine Chernoff, professor and chair of the Creative Writing Department, has just published her eighth collection of poetry. Titled "The Turning," the book is an expression of the intelligence, wit, and charm of human emotion. 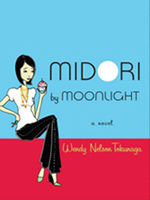 If you are not in the mood for poetry, check out "Midori by Moonlight." The recently published novel by Wendy Nelson Tokunaga (B.A., '79) tells the tale of one girl's whimsical romp through San Francisco to find her American dream, and some dessert while she's at it. Another possibility for the bibliophile on your gift list is the latest novel by newly named California poet laureate, Carol Muske-Dukes (M.A., ’70). "Channeling Mark Twain" -- a book inspired by Muske-Dukes' work establishing a creative writing program at Riker's Island prison -- received plenty of praise and a place on Oprah's "Books of Summer" reading list. The Volume Six DVD collection of "Family Guy" has just been released, along with the "Freakin' Sweet Party Pack," featuring the voice acting talents of Alex Borstein (B.A., '92). The assortment features a 22-disc collector's edition of the first six volumes of "Family Guy," the feature-length special "Blue Harvest," a deck of playing cards, 100 poker chips and a ping pong net with four balls and two Family Guy-themed paddles. After Harvey Milk was assassinated in 1978, the gay rights movement was clearly a national issue. 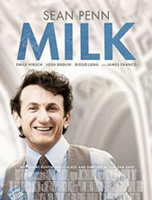 The movie "Milk" -- called a "great American story" by San Francisco Chronicle movie critic Mick LaSalle and now playing in theatres nationwide -- shows the political struggle and triumph of Milk. It also shows the influence of alumnus Cleve Jones (played by actor Emile Hirsch), then an SF State political science student who was interning for Milk. The eighth annual SF Sketchfest starts soon. Created by David Owen (B.A., ’99), Janet Varney (B.A., ’97) and Cole Stratton (B.A., ’00), the festival is a series of comedy events with different styles: musical, improvisational, sketch and stand-up. Tickets for the performances, including a Jan. 17 event featuring Dana Carvey (B.A., ’79), are now available at the SF Sketchfest Web site. If munching on dessert before dinner is a crime, the delicious sweets created at Andrew Ly's (B.S., '86) Sugar Bowl Bakery, are likely to make anyone guilty. Sugar Bowl baked goods, including Petite Brownie Bites and Madeleines, are available at six Bay Area Sugar Bowl retail stores and Sam's Clubs and Costco stores nationwide.